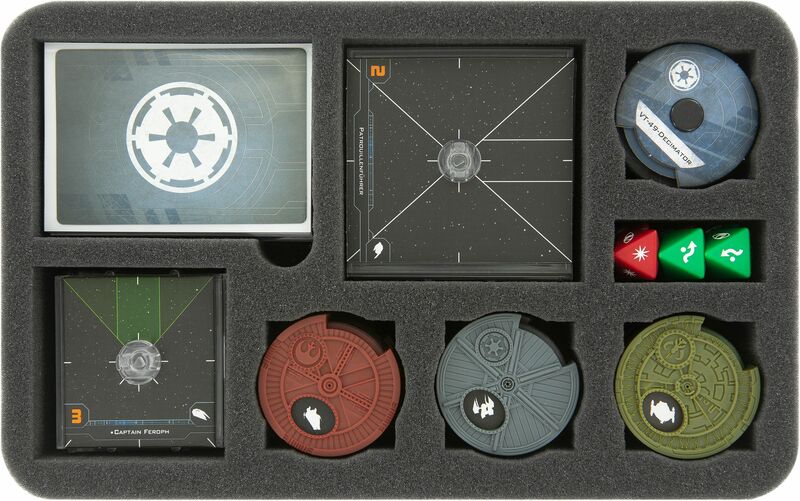 For safe storage and easy transport of your X-Wing 2.0 bases and other 2nd edition accessories. You are looking for a safe storage solution for your X-Wing 2.0 bases? 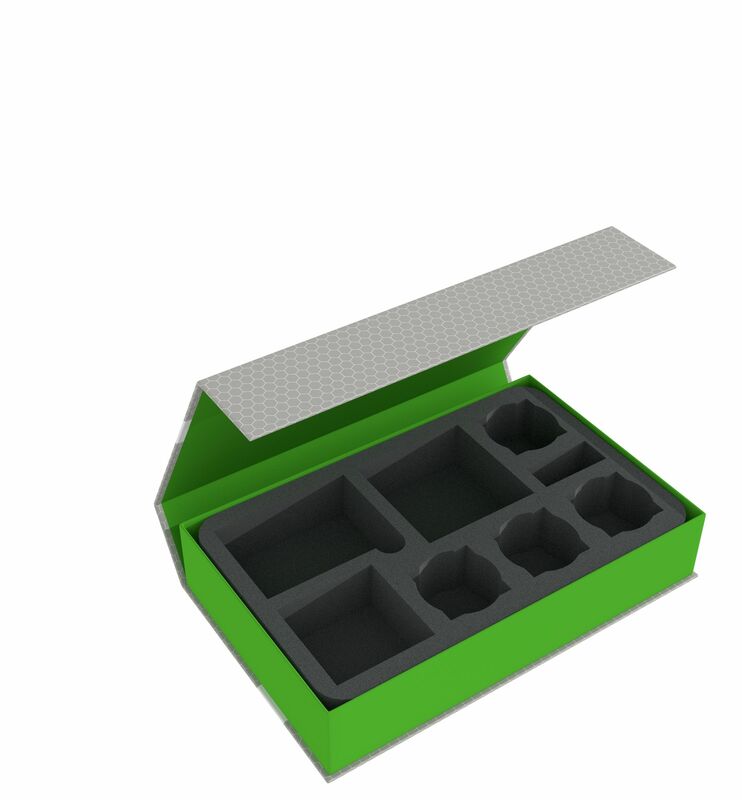 Stop looking, with our magnetic box which includes a custom foam tray, you have already found it. 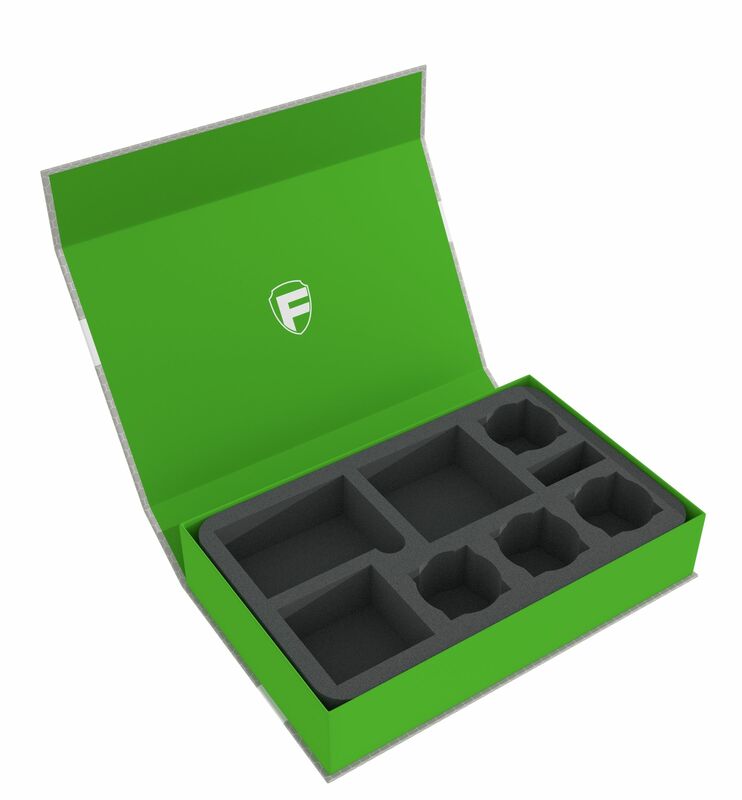 The foam tray has 8 compartments. 1 compartment will hold a large base, 1 compartment is suitable for a medium base, 4 compartments can hold either small bases or dials. In addition, the tray features 1 compartment for (sleeved) cards and 1 small compartment for accessories like tokens / markers. 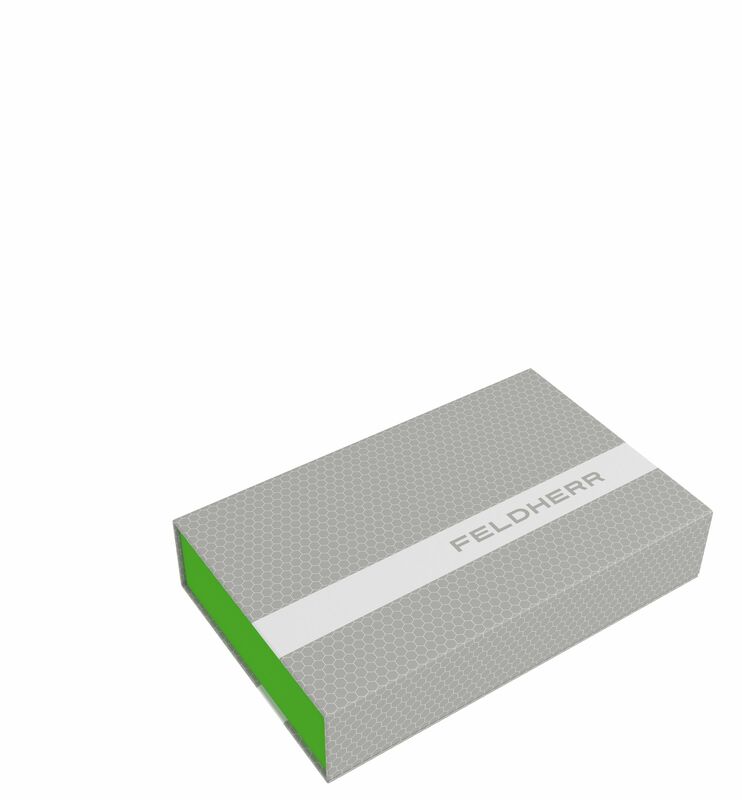 The fine pored Feldherr foam provides ultimate protection against breaking parts and scratches. Your space ships will thus always have a safe stand. Of course, the foam tray fits exactly into the magnetic box. The box is made of solid, coated cardboard, which provides great stability while being very leight-weight. Two integrated magnets on the flap and front allow for a secure closing so that nothing gets lost during transport. The Set includes a matching foam topper for all-around protection of your bases. The topper is to be placed on top of the foam tray into the magnetic box. The foam tray has the dimensions: 275 mm x 172 mm x 45 mm total height (35 mm usable height + 10 mm foam base). The compartment for the cards has the dimensions: 97 mm long x 79 mm wide x 35 mm deep.